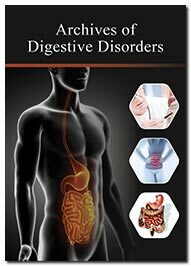 Archives of Digestive Disorders, is an open access journal which will be dedicated to advancing the science and practice of gastric system through the rapid publication of high-quality original research, systematic reviews, meta-analyses and technology reports, perspectives on all disciplines and therapeutic areas within the specialty. The journal is directed to gastroenterologists and others involved in research and practice of gastroenterology and digestive diseases. It features original research, review articles, clinical cases, perspective, commentary and others which include every facet of the digestive system to find better ways to treat illnesses and conditions that originate in the gastrointestinal system, liver and pancreas. In addition, it provides a forum for the exchange of information on all aspects of gastrointestinal and liver, including educational issues. The mission of Archives of Digestive Disorders is to provide readers with a broad spectrum of themes in clinical gastroenterology, including the diagnostic, endoscopic, interventional, and therapeutic advances in heartburn/GERD, inflammatory diseases, functional gastrointestinal disorders, nutrition, absorption, and secretion. The principal criterion for publication is potential impact on patient care. Archives of Digestive Disorders is an open access journal designed for the wide dissemination of research in this field to worldwide audience. New developments in methodology and techniques are important resources for the research community. With an emphasis on conceptual breakthroughs, its goal is to facilitate rapid publication and circulation of novel discoveries in the field of esophageal, gastric, intestinal, colonic, hepatic, pancreatic diseases and other aspects relevant to digestive system that affect the delivery of care of patients with digestive diseases. The journal scope encompasses the knowledge in medical research of disorders of the digestive system such as Colon and Small Bowel, Diarrhoea, Constipation, Diverticulitis Diet, Gallstones, Ulcer, Blood In Stool, Pancreatitis, Diverticulitis, Appendicitis, Gastritis , Hemorrhoids, Celiac Disease, Autoimmune Disorder, Chronic Constipation, Food Intolerance, Heart Burn, Inflammatory Bowel Disease, Stomach Ulcers, Functional GI Disorders, Cirrhosis, Digestive Bleeding, GastroEsophageal Reflux Disorder, Barrett’s Oesophagus, Peptic ulcers, Crohn’s Disease, Hernia Dumping Syndrome, Bloating & wind, Faecal incontinence, Heartburn etc. Submission of important articles containing advanced research output aiding in forwarding the subject are most welcome. The Journal is using Editor Manager System for easy online tracking and managing of the manuscript processing. Each article undergoes a peer review process under the aegis of an assigned Editor. To be acceptable for publication, an article should be positively considered by two individual reviewers followed by the Editor’s consent. Neuroendocrine cell hyperplasia in ulcerative colitis and lymphocytic colitis. A new look of gastric cancer from epidemiology to clinical management.